Again, it’s been a while since I posted. I have several things to post, but i am going to start with what I am working on right now. 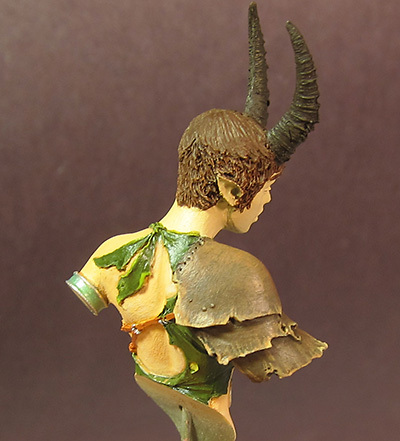 This is a great little figure by Origen Arts called Female Faun. 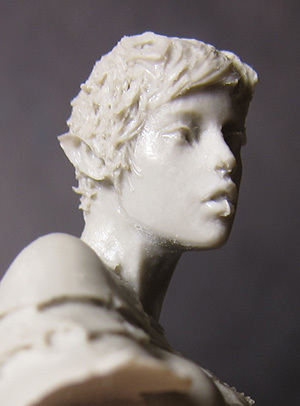 This is a small scale bust, but there is no exact scale defined by the manufacturer. The figure is about 2 inches from the very bottom to the tip of the horns. The molding was good quality, and there was not much cleaning needed. The figure has a nose ring and lip ring. This seemed a bit un-fauny to me (for some reason). So I started by removing those. The horns were separate pieces, so I glued and puttied those on. The horns fit pretty well, so there was not much putty needed. 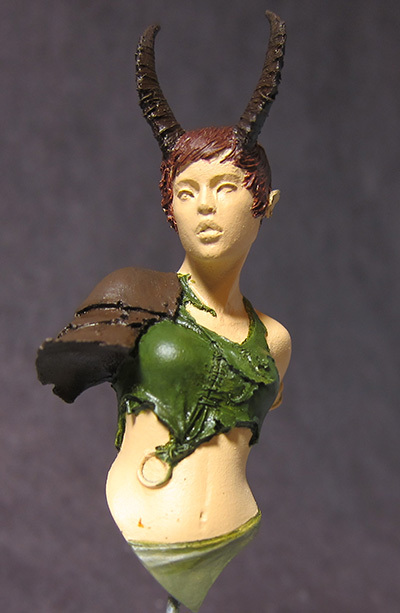 I based the figure with the airbrush, and sprayed on a flat skin tone. I then brushed in the flat colors for the rest of it. 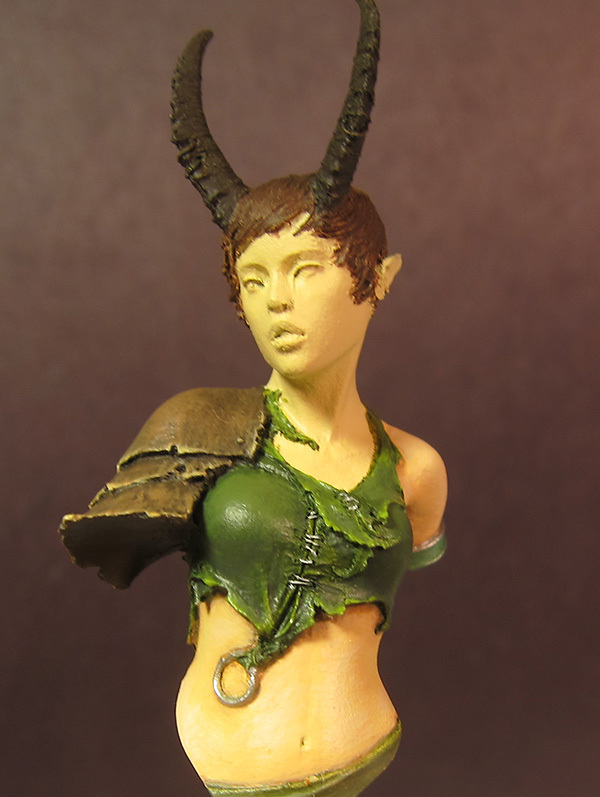 This is where I am right now – I have added some worn leather texture to the shoulder shield, and started shading the skin and green fabric. I still have the whole head left to finish, as well as some other little details.